Companies can finally replace their old phone systems and get a far more flexible phone solution for a fraction of the cost. But it's not just replacing one phone system for another. With Hosted VoIP, you get the benefits of outsourcing the management of your phone system, which means you'll need fewer resident experts to handle things. 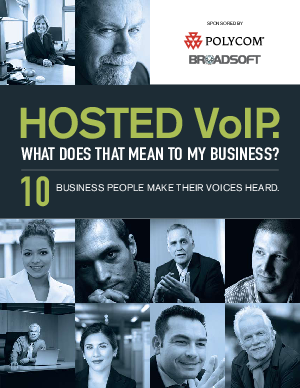 What's more, Hosted VoIP expands communications and productivity by providing a range of advanced features and functionality. And it does so without straining your budget.